Everyone dreams. Some people have lucid dreams, where they are aware that they are dreaming and can actively participate in their dreams. Most of us, though, have dreams in which we seem to be just an unwitting participant or observer. Whatever you dream, and whatever form your dreams take, there is meaning to be found there, and a professional analysis can help you understand what that meaning is. Your dreams may be a manifestation of your daily stresses and anxieties. They could be an expression of experiences, or emotions buried deep in your subconscious — from this life or a past life. Your dreams can even be a way for departed loved ones or other spiritual entities to send warnings or messages. There are some cultural and spiritual belief systems that interpret everything in a dream the same way for every person. 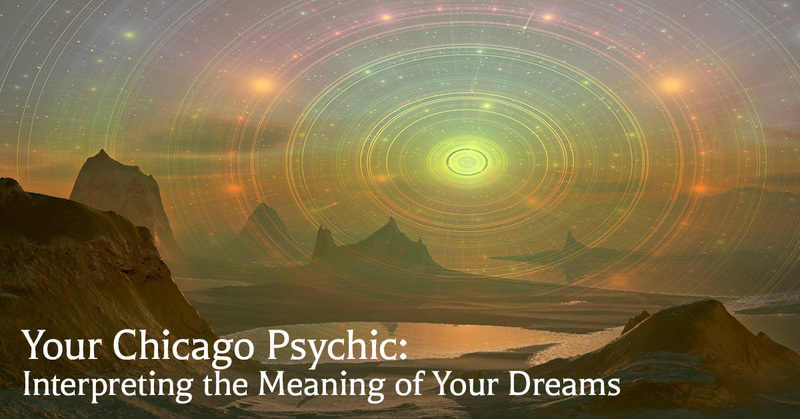 While some insight may be gained by this kind of analysis, you’ll need to work with a gifted and experienced psychic to identify the underlying source of your dreams, peel back the nuanced layers, and really understand the purpose of your dreams. We’ll provide couple of examples of why it is important to work with someone who treats you as an individual and understands that your unique experiences mean that your dreams and their meanings are specific to you and your path in life. The following examples are common dreams and dream elements. A dream of abandonment may seem, on the surface, to be related to worries about aging, being alone, or leaving behind something from your past. If the source of your dreams is unexpressed anxiety, those may very well be accurate assessments. But what if the source is a memory buried in your self consciousness, or a message from the spiritual realm? Only an experienced psychic can help you get to the bottom of it, understand it, and know what action you are meant to take or what lesson you are meant to learn. Traditionally, dreaming of a funeral is associated with confronting pain or leaving something behind in your life, like the end of a relationship. But more important than the fact you are dreaming about a funeral, could be the people who are in the dream with you, who the funeral is for, and if you are a child in your dream or an adult. There are so many factors that can indicate different meanings that relying on traditional, one-size-fits-all explanation is not very useful. The general meaning of sailing dreams is that you are navigating some kind of emotional journey or setting out on a new life path. But, what if you aren’t experiencing any new journeys? What if your life seems boring and stable? Then, what does your dream mean? The only way to find out is to get an individualized analysis from a psychic who can determine the underlying source of your dream and interpret the elements in your dream other than the simple fact that you are sailing. If you are interested in learning more, please call today. Carolyn is a skilled dream interpreter who was taught by her grandmother from Calcutta. She’s looking forward to hearing from you.